Before Detroit filed for bankruptcy in 2013, the most populous US city to file for bankruptcy was Stockton, California. One key driver was a 70 percent decline in median home prices between 2006 and 2009, which sharply cut property tax income. Making matters worse was a city decision in 2007 to bet on stock market gains that failed to occur. Located about an hour south of the California state capital of Sacramento, Stockton has a population of just over 310,000. The highly diverse city is about 42 percent Latinx, 22 percent Asian American, 22 percent white, 12 percent Black, and 2 percent American Indian or Native Hawaiian. 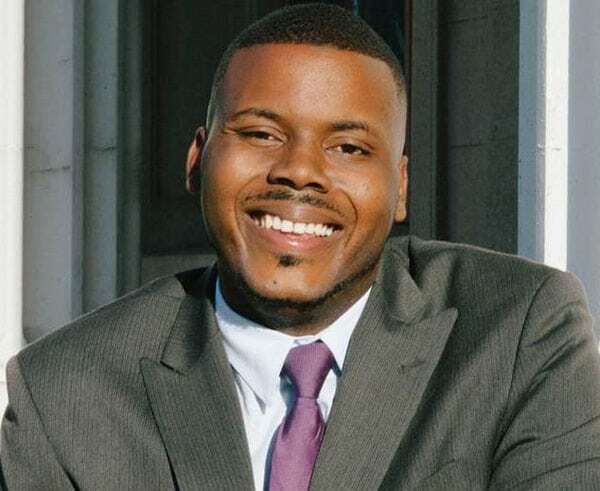 Leading the city post-bankruptcy is Mayor Michael Tubbs, who has garnered considerable media attention. Tubbs, who had served a four-year city council term, was elected mayor in November 2016 with 70 percent of the vote, becoming the city’s first Black mayor and, at the age of 26, its youngest ever as well. Part of Stockton’s revival strategy has involved courting philanthropy and partnering with nonprofits. This past February, NPQ highlighted a few of these partnerships, including a pilot program that promotes a universal basic income using $500 monthly household payments as a mechanism for building basic income security. The philanthropists came on air-conditioned buses from big cities like Los Angeles and San Francisco. They were driven past vacant lots overrun with weeds, auto-repair shops and fast-food restaurants and meat markets, and deposited at a construction site that had once held a liquor store that police had long tried to shut down because it was dominated by drug dealers. And there, they were asked for money: money to pair single mothers with case managers, money to provide low-income families with a “word pedometer” and biweekly coaching from trained home visitors, money for mental-health clinicians and anti-violence counselors and college coaches and green spaces and sustainable-food hubs and a psychotherapy center. All together, the philanthropists were told, the opportunities to invest in Stockton totaled $28.6 million dollars. Stockton, where the median household income is $46,000, is, Semuels notes, hardly the only city to look to philanthropy. Semuels cites the $70 million raised from two donors in Kalamazoo, Michigan and Detroit, Michigan’s multi-foundation $300 million-plus “Grand Bargain” as two prominent examples. Other examples she cites include New York City’s Office of Strategic Partnerships, which raised $400 million in philanthropic money to eradicate inequality during Mayor Bill de Blasio’s first term and Mark Zuckerberg’s $100 million contribution in 2010 to the Newark, New Jersey public-school system. Stockton aims to avoid some of the challenges that relying on philanthropy can bring by forging their own vision before seeking philanthropic largesse. While Stockton is happy to be the test site for pilot programs, the city and community members identified their needs in advance, rather than merely chasing dollars. Included on Stockton’s wish list are so-called “Future Centers” to encourage youth to plan for college (estimated cost: $1.4 million a year), a proposal for a center for children exposed to trauma ($6.8 million), and a program for a $250,000 legal-aid fund for tenants facing eviction. Stockton, naturally, is hardly the only city to adopt a more organized approach to raising philanthropic dollars. Indeed, many cities have set up offices of strategic partnerships to do so. New York City provides one example. Denver, San Francisco, and Los Angeles are a few others.